Discussion in 'Guides, Mods, and Upgrades' started by Rob Heinzonly, Apr 18, 2016. A couple of weeks ago @JvdP started a project to reduce the sound coming from the numerous fans on the BigBox. 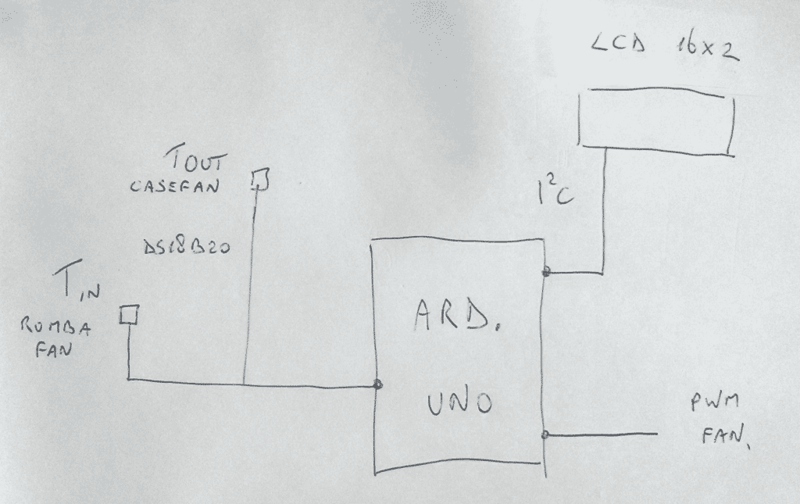 By coincidence, I was working on a similar project, however with a different approach: the Arduino. Currently I have an Arduino Uno sitting in the 'Basement' of my BigBox, doing stuff with the WS2812b ringleds mounted earlier under the heated bed. Time to let the Uno do some other things: driving the back case-fan of the BigBox by means of PWM and a PID regulator. 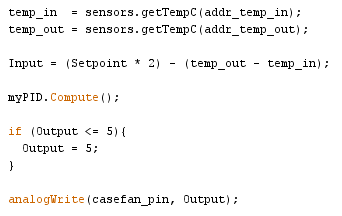 DS18B20 temperature sensors are nice little things. They need no adjustments and they communicate over one single wire. Every sensor has it's own unique address. The LCD screen is communicating via the I2C bus with the Arduino Uno. This makes the setup easier and saves you from connecting seven separate wires to the Arduino. 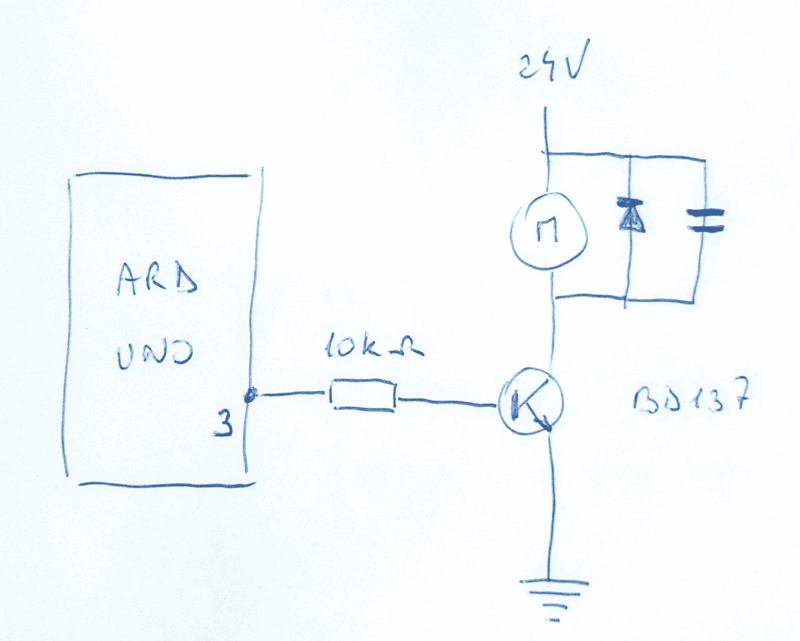 A 5V signal coming from a PWM pin on the Arduino is switching the NPN transistor. The case-fan motor above the transistor needs an extra diode to prevent damage to the transistor, and an extra capacitor. When the BigBox is turned on the case-fan is turned on for 1 second at 100%, after that is it tuned down to 2% of capacity. 4. Is it working ? Yes ! And the strange thing is, it is working better than I expected. 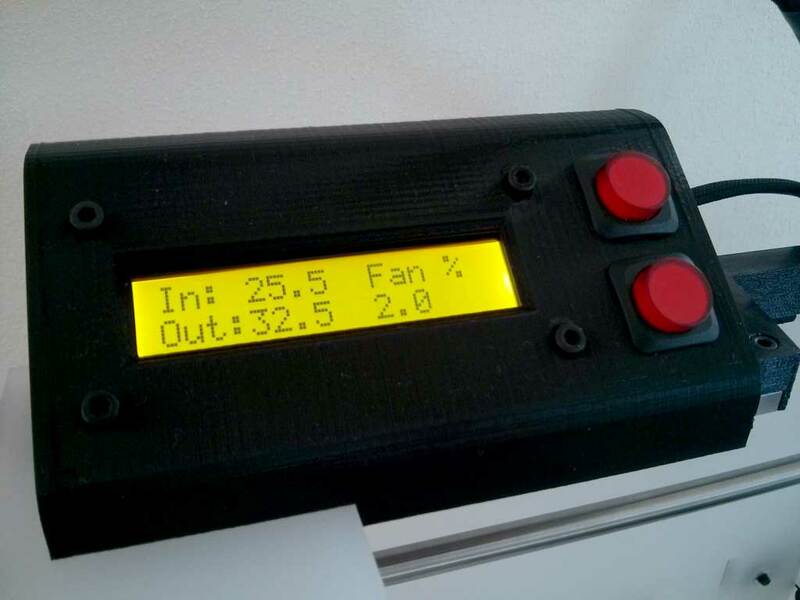 at 95% of the time, the case-fan is running at 2%, even after 2 hours of printing. Jeremy Naglich, Spoon Unit, Mike Kelly and 3 others like this. Looks very good. Thank you for sharing. 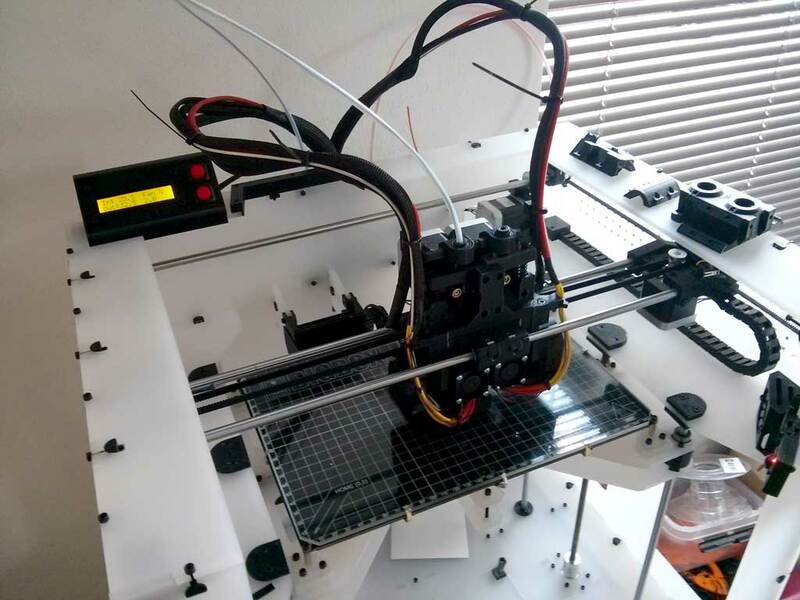 A good budget and accessible components. As a matter of interest, what's the highest that you've seen the fan go up to? It's nice. Did you think about using a micro or nano instead of an uno and put it into the top case? Nice work. Are you going to share the printable case file? 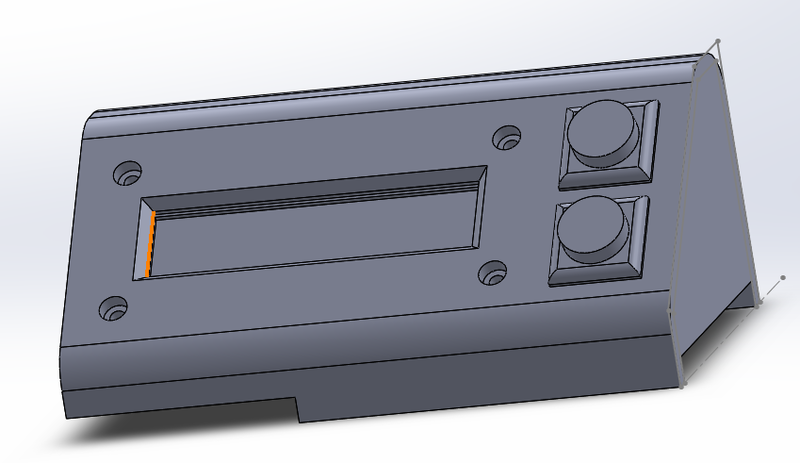 I dont have my Bigbox yet but i have everything to start this except the ability to print the case. Thanks for the file. I just ordered the misc parts and I will build as they arrive. Hi. Regarding this Project whisper. Has anything been done with regards to setting the steps for the drivers on the Ramps-card? for example, setting the X / Y to 1/16 - 1/32 step(Jumpers 001 - 101) to make the motors more quiet? 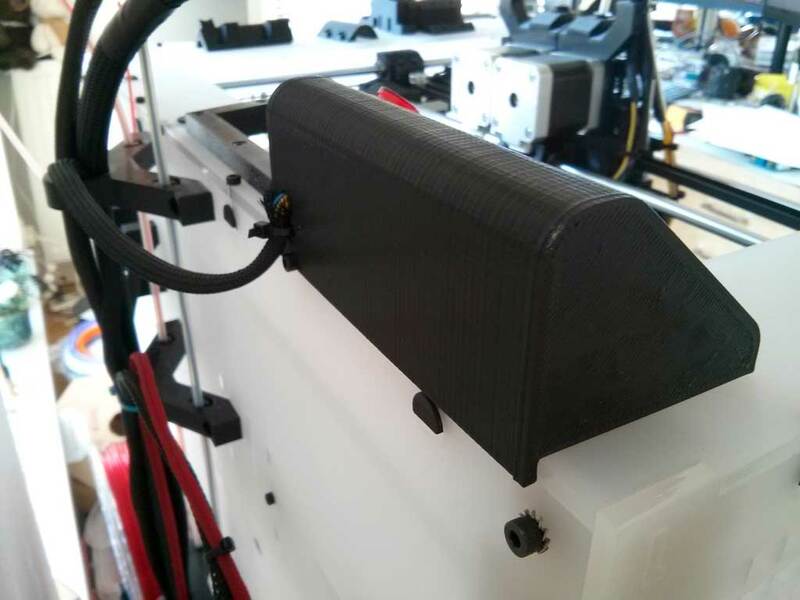 I have not tried it myself but am looking for examples if anyone else has, Since i understand this might reduce the noice-level when printing and the X / Y probably won't need the torque of 1/8 that I believe is default on the Ramp(at least for me with the hybrid, lighter carriage).